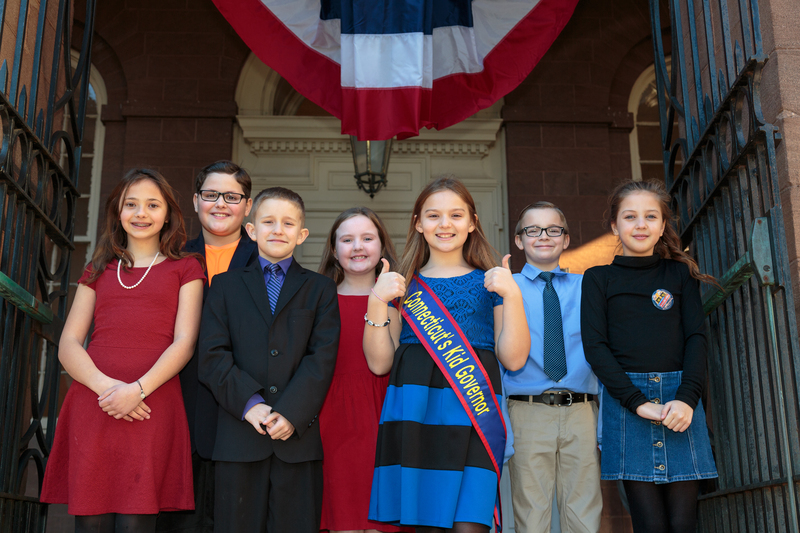 The following 5th graders are the candidates for the 2016 election for Connecticut’s Kid Governor®. The candidates have been nominated by the 5th graders in their schools and completed the necessary paperwork qualifying them to run for office. Each candidate has created a campaign videos (below) outlining why he or she wants to be Connecticut’s Kid Governor, what leadership qualities he/she has, what community issues is important to him or her and why, and a three-point plan outlining ways for Connecticut 5th graders to make a difference around that issue. Fellow 5th graders watched these videos and carefully studied the candidate’s platforms to inform their vote during the Statewide Election Week, held November 7-15, 2016. Each student was entitled to one vote. All votes were due by 5 p.m. on Tuesday, November 15- the polls are now closed. 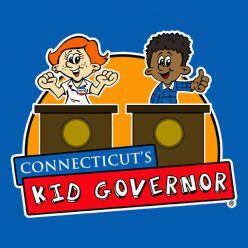 The winner of the Connecticut’s Kid Governor was announced on November 23, 2016. You can also watch the videos of the 13 other Nominees chosen to represent their schools on the 2016 Nominees page. Analyzing Campaign Videos and Speeches worksheet– Students used this worksheet when analyzing the above campaign videos (one per video) to guide their assessment of the candidates’ platforms. Connecticut’s Kid Governor Statewide Election Ballot– This ballot was used for students to cast their votes for Connecticut’s Kid Governor.